Dubai Photo Story: So what are my rights? So what are my rights? I picked up these pictures from a recent visit to the Dubai 7s stadium. I am sure many of us have experienced some awesome sporting moments at the 7s. 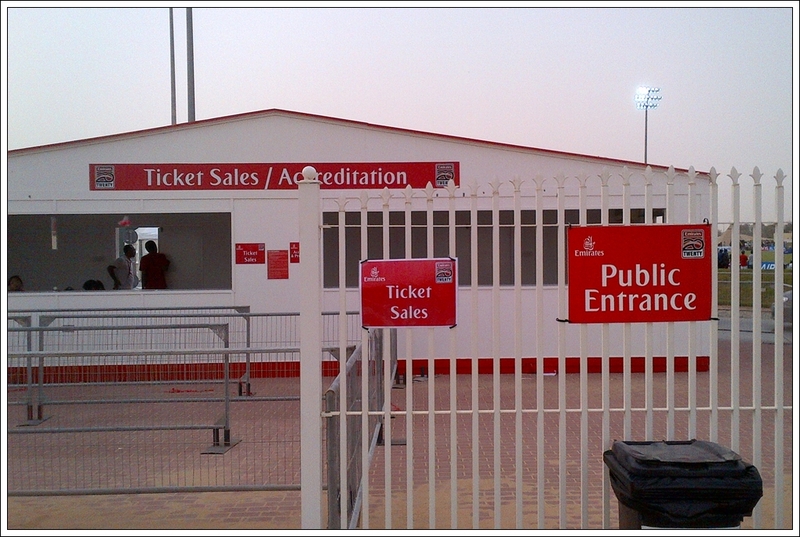 But many of us may be surprised by this unsporting condition that is displayed prominently outside the 7s stadium. 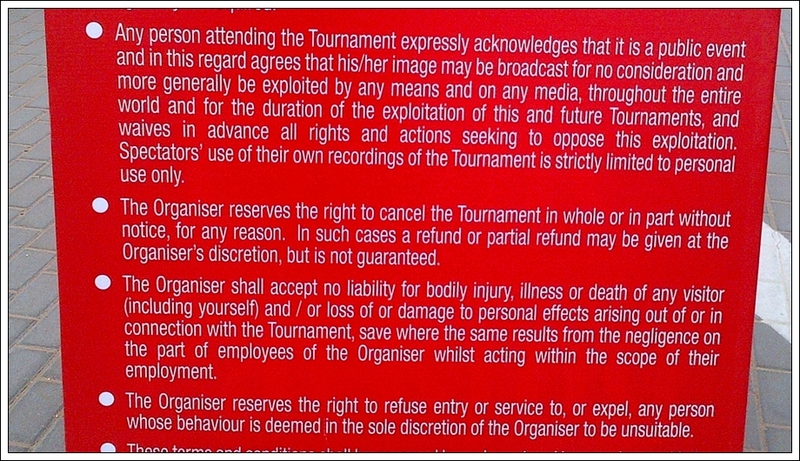 One of the conditions reads "The organiser reserves the right to cancel the tournament in whole or in part without notice, for any reason. 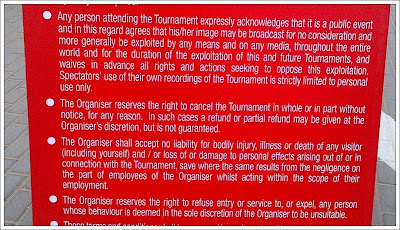 In such cases a refund or partial refund may be given at the organiser's discretion, but is not guaranteed". This brings to mind many questions. What if the tournament is cancelled and I have paid a pretty sum for the ticket? Do I as a customer have any rights in this case? As a customer, I would have paid the money to the organisers who in return are required to provide a particular service. Would the organisation in this case have any obligation to me? If I had purchased a television from an electronics store, would the above case be equivalent to the the outlet refusing to hand over my money after having failed to deliver a television? Do similar conditions exist at other events, tournaments or concerts? And if these conditions are commonly used, is there any law to define the validity of these conditions? If such a law does not exist in Dubai, do we need to have one? If you have an opinion on the subject, please leave a comment. 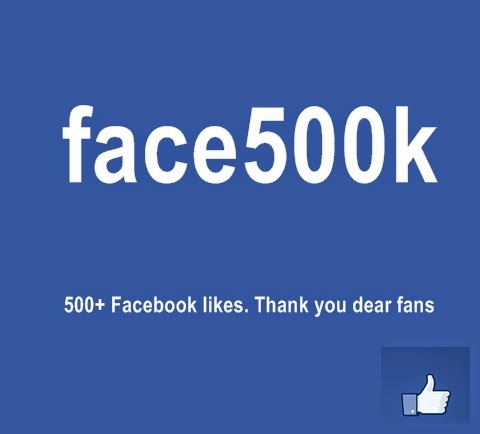 Better still, please share this page within your social circles to get opinion from other residents of Dubai. It reminds me of the airline attitude: just because you've bought a ticket and confirmed doesn't guarantee you'll get to fly. 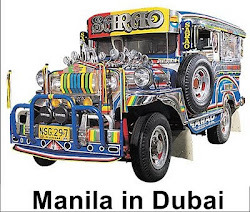 Dubai is marvelous city. For myself I loved this place. I visited many times. I lived and worked there for many years. I can see a marvelous future for this city. Especially in the field of Architecture and Tourism.